Face Painters and face painting available here. 'Cherry Arts' face painter and temporary tattoo artist 10 years experience - Other services include a bit of blood and gore re: special FX's. Full public liability insurance and very child friendly, which is a must in this business. Very self-contained. ie: I don't ask anyone for anything - not even water. 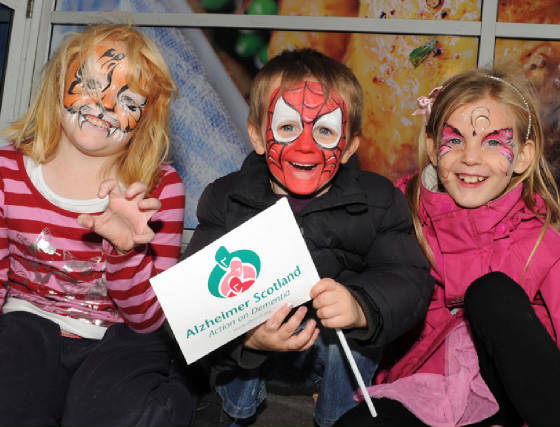 "Thank Paul and his colleague for their efforts on the day - they made a lot of kids very happy." 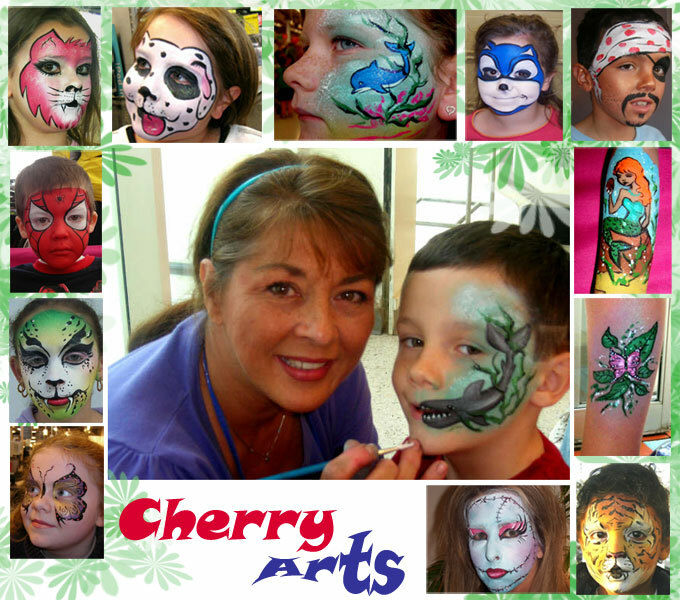 Our face painters have experience in taking care of children and entertaining them. "Hi Urban Circus, Everything went well and the face painter was amazing, very nice lady. 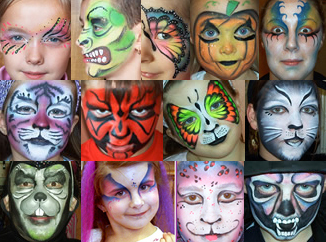 The face paints we use are professional, water based and safe. They have anti-bacterial and hypoallergenic properties and are specifically for use on the face. 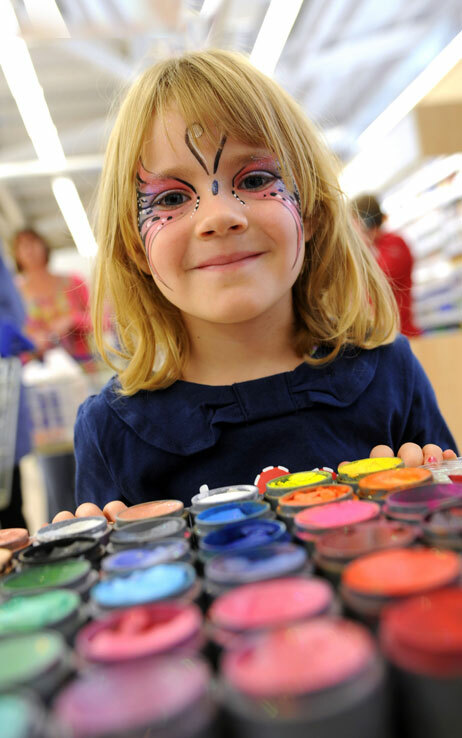 We use Snazaroo face paints, which are of the highest quality. Safety is important to me as a painter and mother myself. The face paints are easily removed with face cloth and water, or baby wipe. We do not paint children who have cold sores, runny noses, open wounds, or who don't want to be painted, but will offer an alternative of a tattoo or fake scar for example. If a child has sensitive skin, a patch test is offered on the inside of the elbow. A fresh sponge is used on each child. Great for high traffic events quick to dispence. 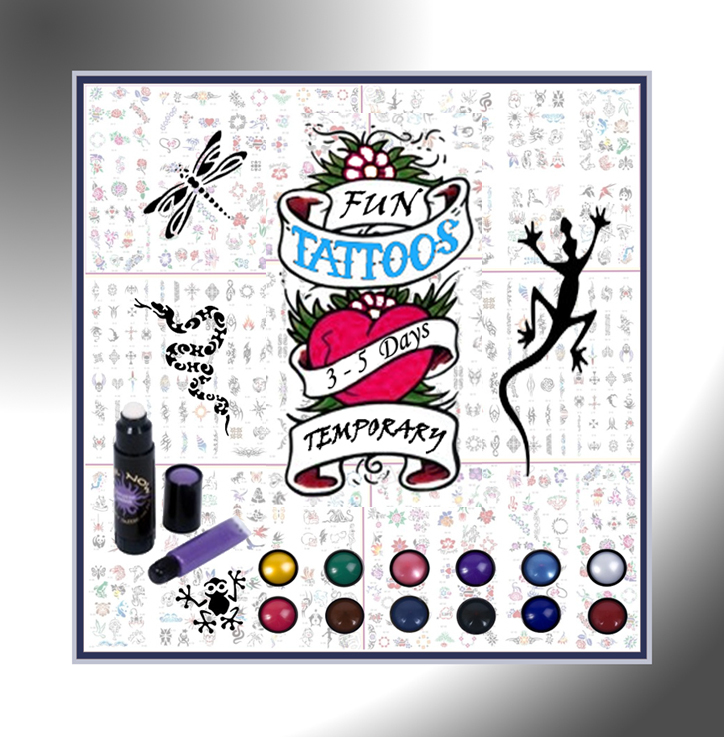 Temporary stencilled tattoos with choice of colours - combine more than one for a dazzling finish. Water Resistant Ink - stays on in sea, shower or pool. Safe on almost all skins - washes off with soap and water Lasts up to 5 days on clean, lotion free skin. A small skin test can be done if unsure about allergies. We can mix colours through the tattoo stencils for a beautifully shaded effect that matches attire. Samples are Ethnic Creature designs of Snake, Lizard, Frog, Turtle and Dragonfly,many geometric designs and Caligraphy. The inks are safe and do not react with skin. Suitable for most skin types including children. The finished tattoos are washable and last up to 3-5 days once dry but can be removed by gentle rubbing with soap and water. Find Your Dream Tattoo Design ! If you are looking for high quality tattoo designs, then look no further. Chopper-Tattoo provides you with a growing database of thousands of ideas. Member Photo's and much more. Chopper-Tattoo is the largest tattoo gallery on the internet. and find that perfect tattoo to print out and take to your favorite tattoo artist.